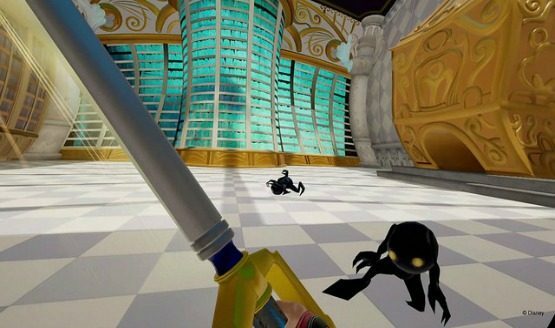 Kingdom Hearts: VR Experience will let fans get a taste of the franchise in VR, rather than a full meal. You'll have to wait until the New Year for the arrival of Square Enix's latest franchise hit, Kingdom Hearts III, but you can check out a new look at the upcoming game today. They've probably played the waiting game for longer than they've played any of the Kingdom Hearts games, so these next few months until the release of Kingdom Hearts 3 should be a piece of cake after we've already waited 13 years. Originally aired before Tokyo Game Show 2018, this trailer shows Sora, Donald, and Goofy fighting alongside Big Hero 6 in San Fransokyo! Or, in this case, the promise of a VR experience. In this trailer, we get to see the world of Big Hero 6 on display, along with Monsters Inc. The Kingdom Hearts series has always been a celebration of the Disney legacy mixed in with the opaque and convoluted storytelling of your average SquareEnix joint. Kingdom Hearts III launches on PS4 and Xbox One in the west on January 29. Keep an eye out for more details as the holidays approach.